A development strategy should be devised to develop Vietnam into a woodworking export hub by 2030, as the country's woodworking industry now accounts for 6% of the global market, said Prime Minister Nguyen Xuan Phuc at a forum held in Hanoi on February 22. 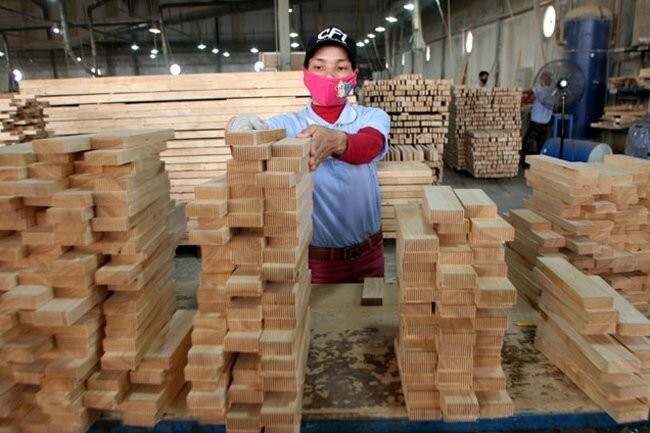 The prime minister was quoted by the Vietnam News Agency as saying that the forestry and woodworking sector needs to surpass US$11 billion in export turnover this year, and reach US$18-20 billion by 2025. Therefore, the sector should effectively execute the Forestry Law and devise regulatory documents guiding the implementation of new international commitments, such as the Comprehensive and Progressive Trans-Pacific Partnership and the Voluntary Partnership Agreement on Forest Law Enforcement, Governance, and Trade to support the industry’s stable development, according to Minister of Agriculture and Rural Development Nguyen Xuan Cuong. Additionally, the sector needs to ensure the supply of some 37.5 million cubic meters of timber material. As a result, it should develop large wood material areas, grant sustainable forest management certifications in line with international practices and criteria, and limit the export of raw wood material. It will also enhance the productivity and quality of planted forests and encourage farmers to change their cultivation habits, from extensive to intensive farming. The ministry will help enterprises maintain the stable growth of traditional markets and penetrate potential and emerging markets, in order to seize opportunities from such free trade agreements. In 2018, Vietnam earned more than US$9.3 billion from the export of wood and forestry products, accounting for more than 23% of the agriculture sector’s outbound sales and posting a trade surplus of US$7 billion. The country is now home to about 4,500 forestry and woodworking businesses, 95% of which come from the private sector. Local wood and forestry products have been sold to over 120 countries and territories. Vietnam is the fifth largest exporter of wood and forestry products in the world, as well as second in Asia, and first in Southeast Asia.